Doolin Bus Hire is very proud of its staff. 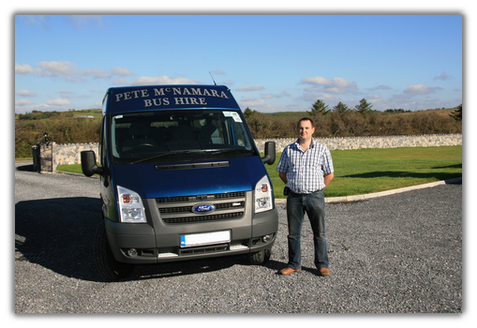 Their dedication and enthusiasm has played a vital role in building Doolin Bus Hire over the years. Our staff are always there for you, because without you we would not exist. Our staff will not be beaten on service. They are friendly and approachable and would be delighted to help you with any aspect of your journey. We know how important your trip is and we will go that little bit further to make sure it goes according to plan. We are committed to providing you, our customers, with the best possible service, so you can relax and enjoy your traveling experience with Doolin Bus Hire knowing that you are in safe hands.